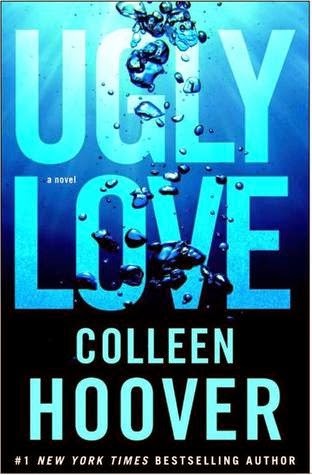 Colleen Hoover is one of a kind. I don’t know where she gets her ideas for her books but every single one of them is fricking relatable, even if you haven’t been in the characters’ situation. She makes her characters realistic enough that will earn your sympathies at some point in the book. I’ve read all her books, and until now I’m still holding on to my statement that you can’t go wrong with Colleen Hoover. I’m not saying her books are flawless and perfect, because it is not, but is there really a perfect book, something that someone didn’t find a flaw on? I am really torn about Ugly Love. Advance apologies for some parts that wouldn’t make sense as it is a product of the mixed feelings this book gave me. Oh, and this might be a weird review. Or not. Ugly Love is a friends-with-benefits type of story. Now, I strongly believe that it is not about how common/unique a story is, but how the author executes it. I am a hopeless romantic, and it goes without saying that the first thing I wanted to see in this book is how they fell in love. It was not a pretty sight, which really makes the book stand up to its title. Miles Archer is what made this book really interesting. His POV slowly unveiled the reason why he wasn’t particular in romantic relationships. He’s broken, and understandably so. As the story unfolded and the mystery kept the anticipation building, I also kept wishing that I could read faster and turn the pages even faster. Miles can be easily defined as the King of Mixed Signals, but since we only see him in Tate’s point of view, I wonder if Tate is the one who keeps getting the wrong signals. After all, it is not how the message is sent but how the recipient received it. I wonder if Miles really gave mixed signals or Tate just reads too much into it. Perhaps she’s just seeing what she wanted to see. Elizabeth Tate Collins is very annoying (sorry, guys!) when she is around Miles, which most of the time. This character is the main reason I am so torn about this book. For every annoying thing that I saw in her, I also have a counterpart explanation, which is making me undecided what to feel. For someone who supposedly doesn’t have time to fall in love, she sure fell for Miles a little fast. ~ but isn’t that just love? It happens without warnings whatsoever. Sometimes, when there is attraction, love is close behind. Tate was attracted to Miles even from the start, so it’s really no wonder she went around falling in love. I hope to meet this lady and tell her, “Where is the self-respect, Tate? Where? What happened to backbone? I understand that you don’t want to lose him so you’ll get what he’ll give you, but please have mercy on yourself and know when to stop.” ~ The most annoying thing about Tate is that she let Miles walk all over her. She knows when to stop, but she doesn’t want to. In a way, I understand. She’s in love, and no matter how stupid that sounds it really overrides all logic. I know someone who is just like Tate because she’s in love, and I witnessed the stupid things she did and refused to do. When someone is truly, madly, deeply in love logic usually do not work. So no matter how annoying Tate acted, I guess it was understandable. There is just one thing that I cannot accept: when Miles called her by his ex-girlfriend’s name and she didn’t walk away. That should be the last straw! That had to hurt in the worst possible way to the point of walking away. Why, Tate? Why? All in all, I like the story, though some parts of it less so. It didn’t make me cry, but the characters got my sympathy. I’m sure some readers loved it so much, and some were disappointed. A few might be like me, undecided. But that’s just readers; everyone has different opinions.